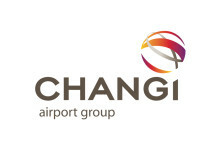 SINGAPORE, 12 June 2014 – Changi Airport Group (CAG) announced today a wide-ranging Growth and Assistance Incentive (GAIN) programme to be implemented over the coming year. 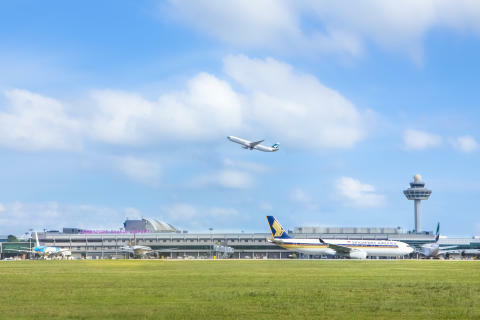 With GAIN, CAG is committing a total of S$100 million through various initiatives and measures aimed at lowering costs for airlines, boosting passenger traffic and improving operational efficiency at Changi Airport. These efforts will strengthen the airport’s hub status and anchor Singapore as a major air gateway to and from the region. From 1 July 2014 to 30 June 2015, all airlines operating at Changi Airport will enjoy an across-the-board reduction in operating costs including rebates of 50% on aircraft parking fees and 15% on aerobridge fees. In addition, CAG will introduce a new package which will reward airlines for growing transfer traffic at Changi Airport. CAG is also keen to work with airlines to raise efficiency of the latter’s terminal operations and will provide funding support where appropriate. For example, airlines are being encouraged to come onboard the FAST@Changi initiative which covers a range of self-service options for departing passengers. More details will be provided in due course. To stimulate traffic demand, CAG will invest in destination marketing campaigns to promote Singapore in major source markets like Australia, China, India, Indonesia and Russia. CAG will work with the Singapore Tourism Board as well as travel partners in these markets to increase the awareness of Singapore and spur travel demand from these countries. These efforts will also support the development of new city links to Singapore. Recognising the increasing manpower challenges faced by the ground handling and security agencies at Changi Airport, CAG is stepping up its effort to work with them to raise productivity levels of their workforce. It will commit funds to support enhancements that reduce these agencies’ manpower requirements and optimise the efficiency of their operations at Changi. GAIN provides temporary relief for airlines while laying the foundation for more efficient operations at Changi Airport in the years ahead. CAG’s incentives and support programmes beyond the coming year will be calibrated depending on how traffic patterns at Changi Airport and how the operating conditions of airlines in the region develop. While passenger traffic at Changi Airport has grown strongly since the industry’s recovery following the global financial crisis in 2008/09, a number of market factors – some unique to the region – contributed to traffic at Changi registering year-on-year declines in February and March this year. Currency movements have seen the rise of a much stronger Singapore Dollar versus key travel markets such as India and Indonesia, affecting inbound tourist travel to Singapore. Continued political uncertainty in Thailand and, more recently, reduced Chinese demand for travel to Southeast Asia has also dampened passenger traffic to and from these key markets. Reflecting the intense competition to fill seats in a tight aviation landscape and the weakening of major revenue-generating currencies, airlines in the region have also observed lower yields despite growth in passenger carriage. This has resulted in reduced margins. Mr Lee Seow Hiang, CAG’s Chief Executive Officer, said: “CAG values the deep partnerships we have with our airline partners and we are cognisant of the market conditions faced by them. While we cannot iron out the volatilities of the industry cycle, we believe that GAIN will provide helpful temporary cost relief as airlines implement the necessary measures needed to adjust to the evolving market environment.